Between shopping, decorating, wrapping presents and entertaining, who has time to slave over the oven? This Christmas season you can dazzle your loved ones with a feast full of mouthwatering holiday dishes prepared with the slow cooker. Included are over 250 recipes from soups and stews to side dishes, desserts and even beverages. You’ll have every base covered to impress without the stress. 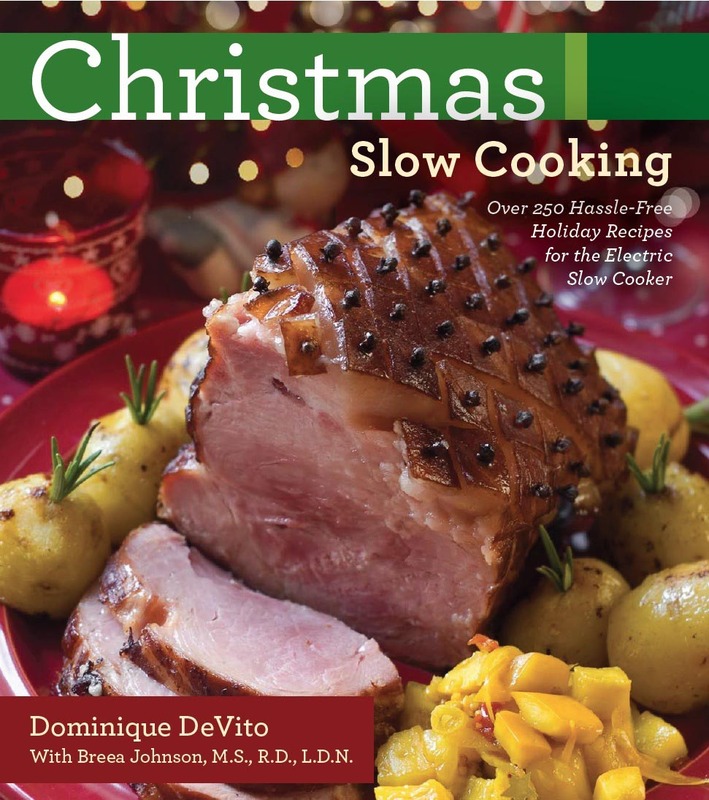 Unlike most slow cooker cookbooks, Christmas Slow Cooking features an attractive full-page color photograph of the prepared dish with nearly every recipe. These irresitable illustrations paired with easy-to-follow instructions, slow cooker tips, conversion charts and helpful sidebar notes throughout, guarantee the courses can be prepared with confidence. Readers can count on following carefully crafted recipes that you won’t see in just any slow cooker book- they look, smell and taste like Christmas. Wake up Christmas morning to overnight eggnog cranberry steel-cut oatmeal; indulge in a citrus-cinnamon spiced ham for dinner and proudly pass apricot glazed chicken wings at your company potluck. Combining tradition with innovation, the book even covers vegetarian, vegan, gluten-free, low-acid and other dietary specific recipes so you can please everyone. Let the slow cooker do the work so you can spend more time with your loved ones and less time in the kitchen this holiday season!